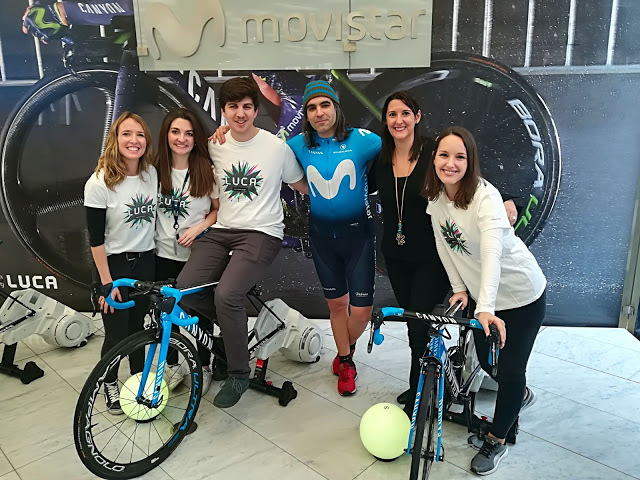 The Mobile World Congress took place last week in Barcelona, and drawing upon this, Movistar Centre held a dynamic activity organized by LUCA, in collaboration with Movistar Team and Movistar Riders. 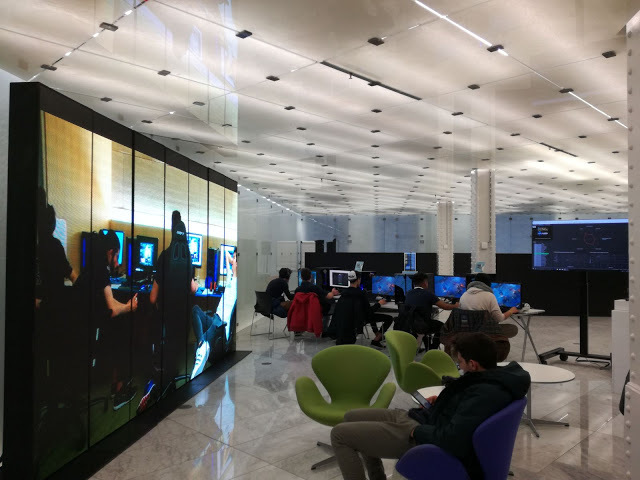 The ad hoc activity allowed visitors to get into the athlete's shoes for a moment; and ride the team's bicycles, play a series of eSports and learn their metrics using Big Data like authentic professionals. Discover how the week went alongside LUCA and the Sports Analytics area in Barcelona. During the week of Mobile World Congress, LUCA organized this dynamic action with the goal of showcasing how the application of data contributes in the improvement of the performance and results of sports teams. An action organized under the motto Sports Analytics and in collaboration with Movistar Team and Movistar Riders. The action in collaboration with the cycling team received a great welcome, with more than 115 participants who not only took on the challenge and rode the official team bicycles, but got to know their levels of performance thanks to the insights obtained through data. The demo, which reflected variables like the speed and power of each participant, represented the stage of the Lakes of Covadonga with metrics obtained by Alejandro Valverde in La Vuelta España 2016. 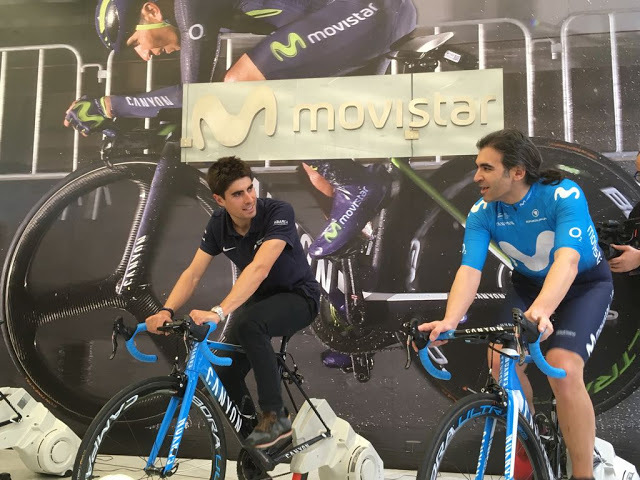 An action that motivated all attendees at the center to participate, including Mikel Landa himself, professional cyclist of the Movistar Team, who was encouraged along with Chema Alonso, CDO of Telefónica, to participate and learn their metrics on the team's bicycles. In addition, the participant with the best metrics obtained during the first day of the action, received as prize an official jersey of the Movistar Team signed by Mikel Landa. The application of data in eSports also gained a lot of traction and expectation among the crowd. This time, previously registered participants got to enjoy an online game of League of Legends with the professional gamers of Movistar Riders, while they also got to gain insights of their performance thanks to the demo designed ad hoc for it, and with which they could compare their own skills with that of the professionals. A way to get to know how the eSports professional team collaborated with LUCA to improve the potential of the physical and mental preparation of the players, through an analytical tool that provides unique insights on the players, competitions and rivals they face. Additionally, some of them also got to test one of the headsets that the team users to monitor the brain waves of the players while they are competing. This allows stress and concentration levels to be tracked, for example, which external factors can influence their performance. A week filled with sports at the Movistar Centre in Barcelona, where, once again, LUCA demonstrated how technology and the application of data allow us to improve different areas of our lives, such as sports, to make better decisions and improve the results.